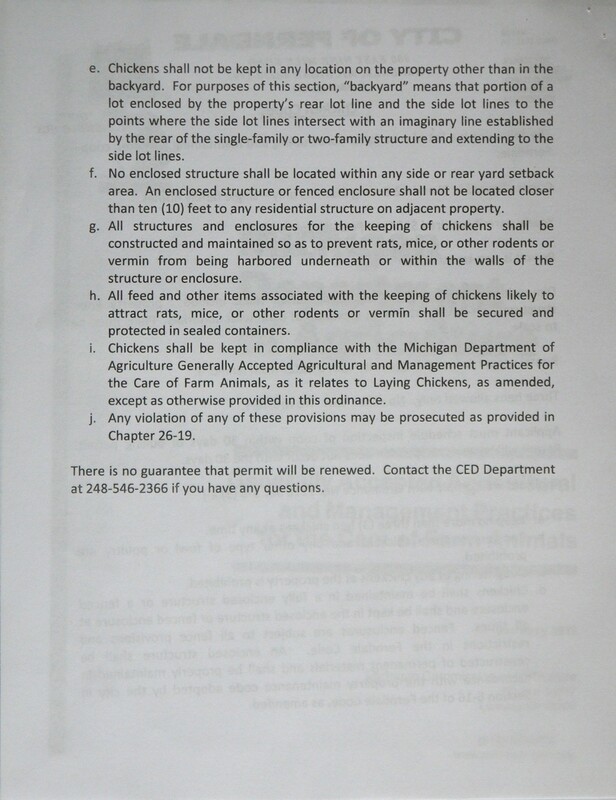 Garden City, MI: Man sentenced to jail time on the CRIMINAL charge of keeping chickens! Guys, you really can’t make this sort of stuff up. 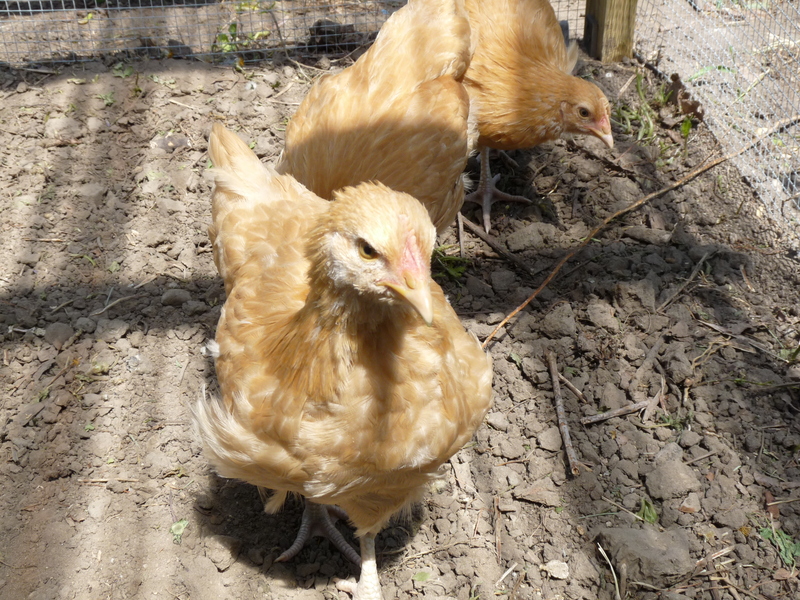 Randy Zeilinger, a Garden City MI resident, has been found guilty on the CRIMINAL charge of keeping chickens. Think about that for a minute. A criminal charge follows you for your entire life. 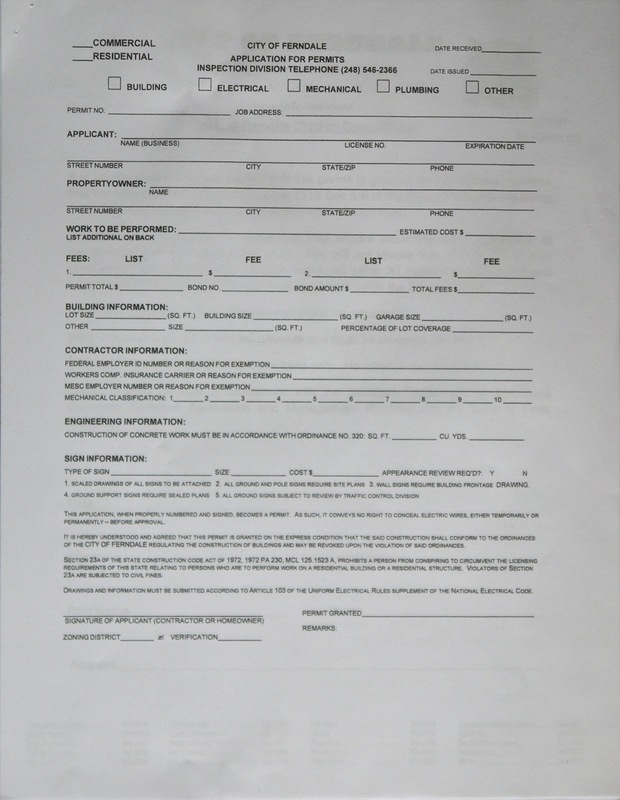 A criminal charge must be reported on job applications. A criminal conviction is reported to state and federal agencies. But the honorable Judge Hammer was “nice” and suspended the jail time. However, if Randy fails on any of the above details he will be thrown in jail. That was clearly stated. A few days after conviction, Randy began receiving new ordinance violations in the mail. These include a violation for keeping a wild skunk, a vandalized porch and peeling paint on his garage. The Garden City Ordinance Officer has indicated that he will be visiting Randy often and writing violations for anything that he can. Randy will likely face another year of bi-monthly court appearances. 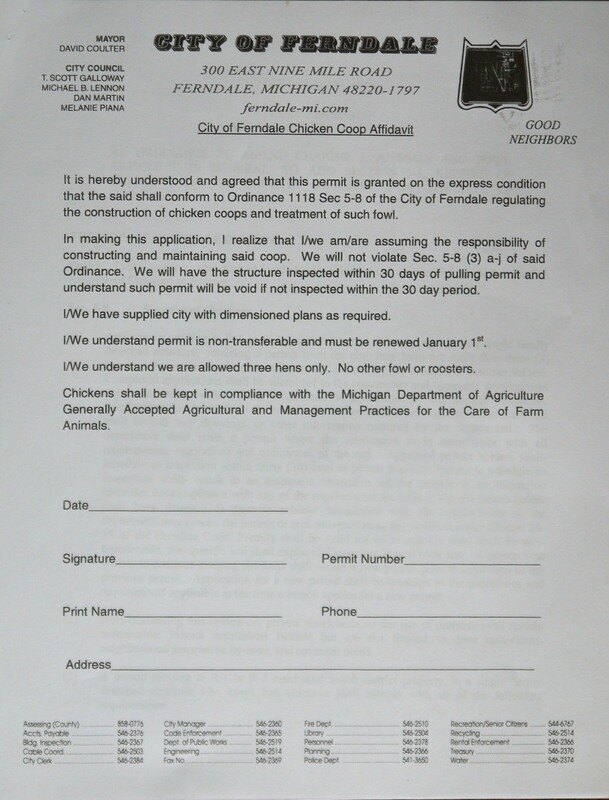 *A note on the Michigan Right to Farm Act: it supersedes local city/town ordinances. 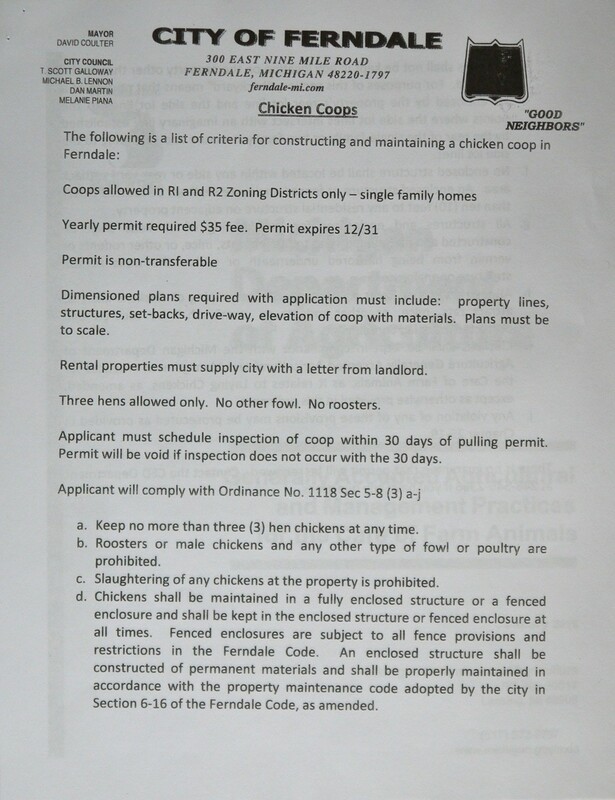 While I (Laura) opted to work with my city to have an ordinance included in our muni code allowing for chickens, technically I didn’t need to. 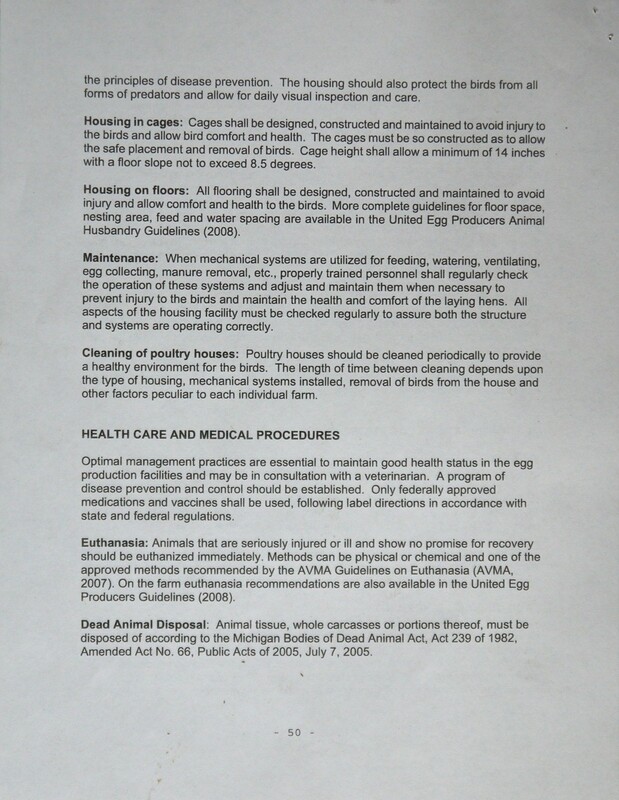 Taken from MRTFA : (6) Beginning June 1, 2000, except as otherwise provided in this section, it is the express legislative intent that this act preempt any local ordinance, regulation, or resolution that purports to extend or revise in any manner the provisions of this act or generally accepted agricultural and management practices developed under this act. 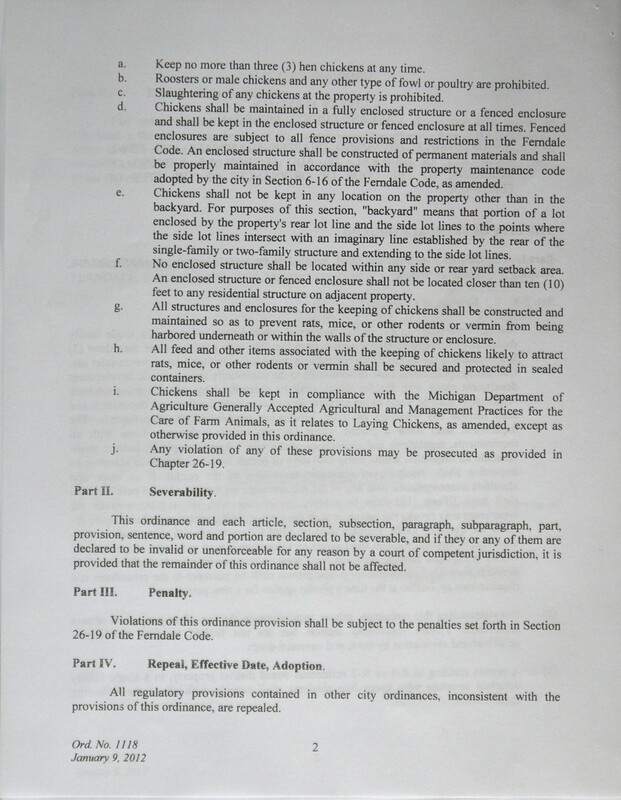 Except as otherwise provided in this section, a local unit of government shall not enact, maintain, or enforce an ordinance, regulation, or resolution that conflicts in any manner with this act or generally accepted agricultural and management practices developed under this act. 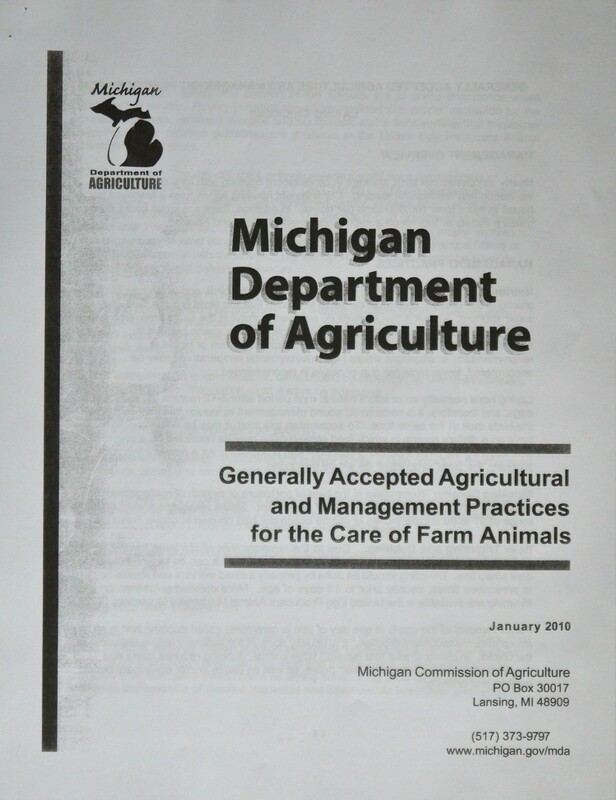 This section affirms your Michigan right to continuation business farming operating within generally accepted agricultural and management practices (GAAMPS) guidelines and supersedes any city laws that may forbid said farming. For your reference, Shelby Township v. Papesh is a similar case and may assist in your legal determinations. In 2009 he acquires some chickens and ducks. 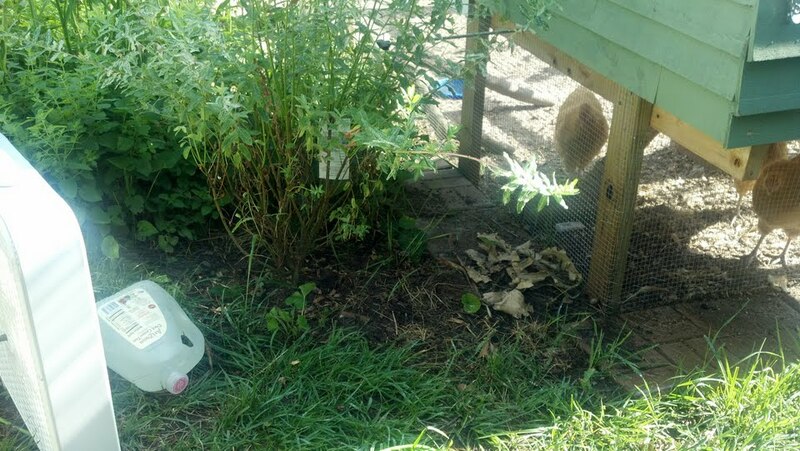 After a year of keeping chickens and ducks, he rehomed the ducks after a neighbor complained to him about them. 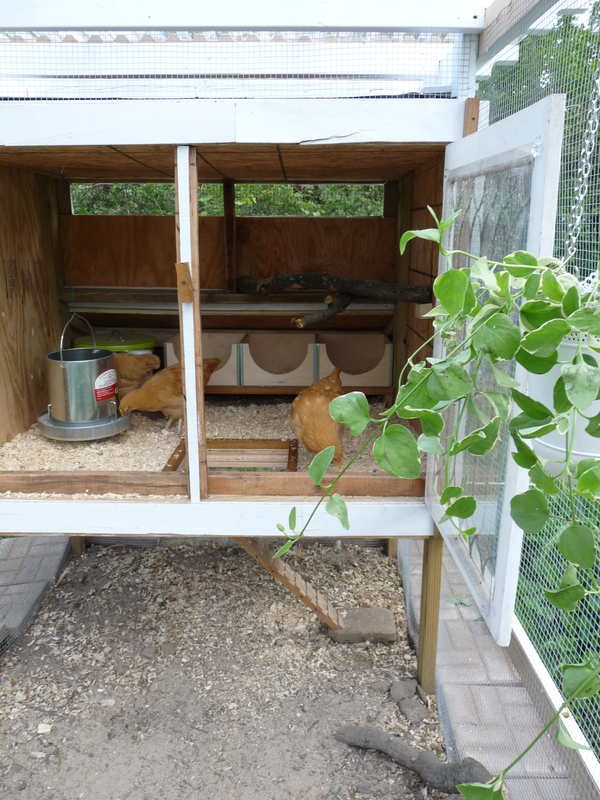 In 2012, the same neighbor that complained about the ducks complained to Randy about the chickens. 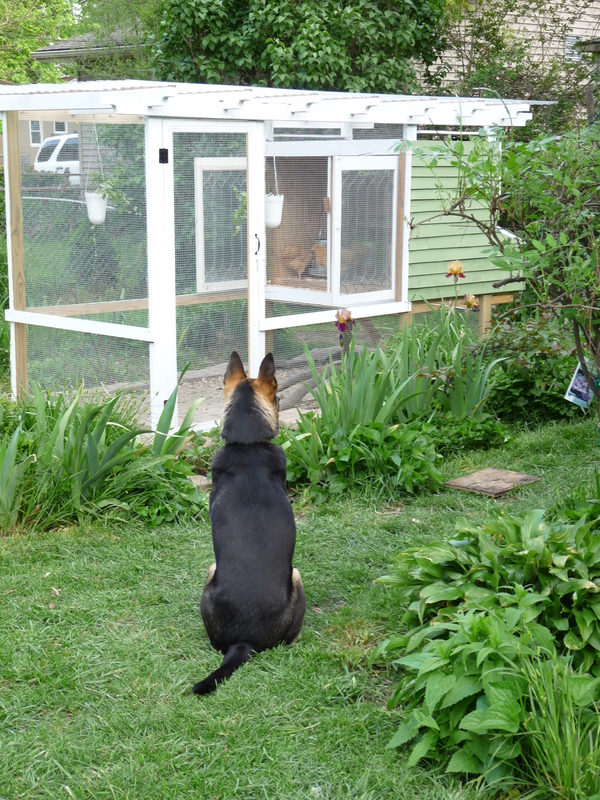 This neighbor posits that “he never asked her permission to have them (the chickens)”. The neighbor who complained to Randy about his chickens also complained to him about: his koi and frog pond & a tree growing in his front yard. This neighbor called the city and demanded that they cut down Randy’s tree, which the city refused to do (thankfully). 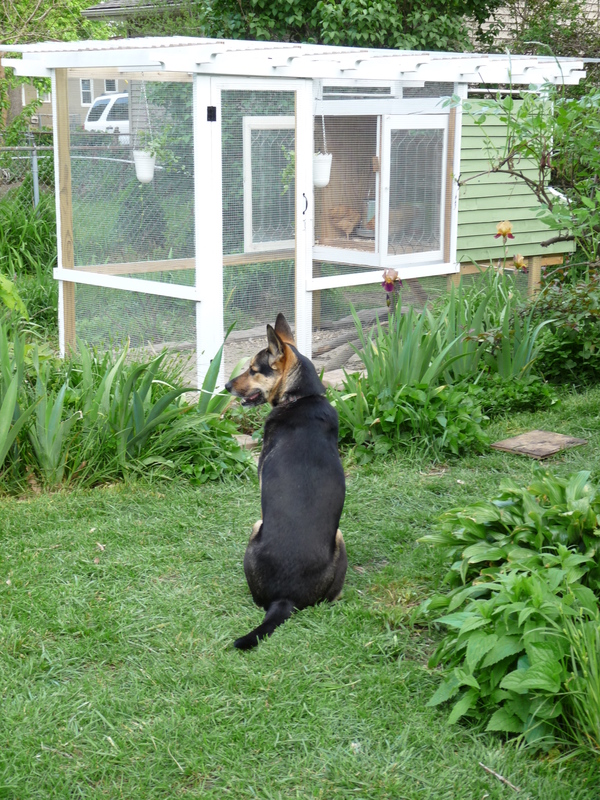 The complaining neighbor, now incensed, files a legal complaint about Randy’s chickens. 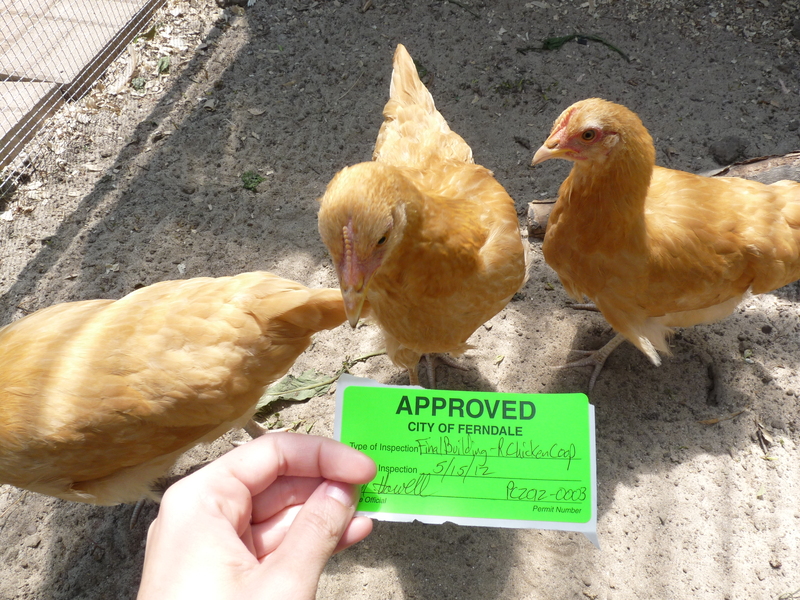 The Garden City ordinance officer cites Randy with keeping chickens, despite not seeing any signs of chickens on Randy’s property. The ordinance officer visited Randy’s farm on March 21, 2012. Several weeks later, Randy received a post card from 21st District Court to appear for a zoning violation dated March 23, 2012. The ordinance violation was written against a 50 year-old ordinance. 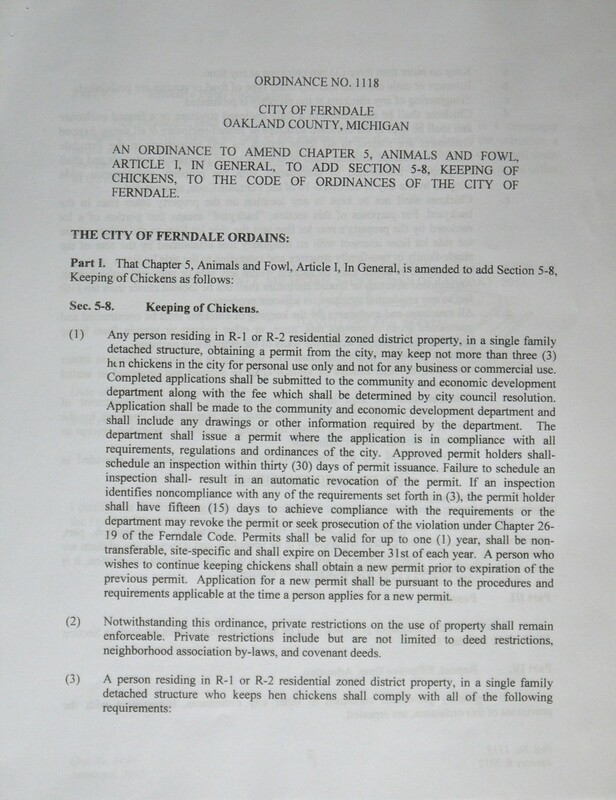 § 90.01 PETS; SALE OF ANIMALS; PROHIBITIONS. 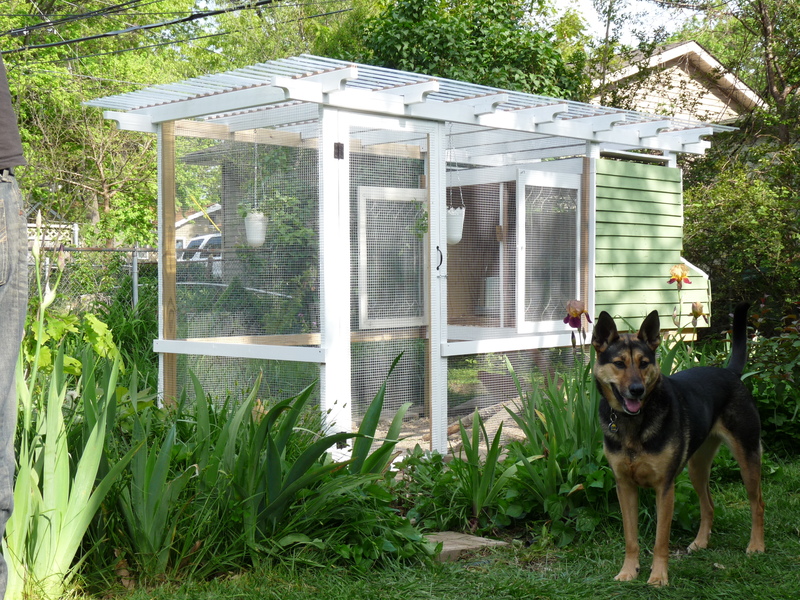 (A) No person shall keep or house any animals or fowl within the city except dogs, cats, canaries, or animals commonly classified as pets, customarily kept or housed inside dwellings as household pets. 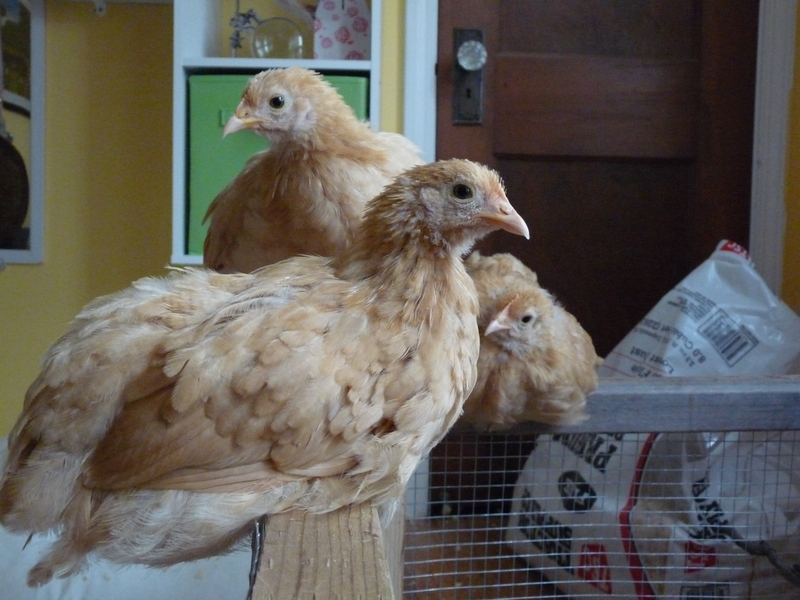 (B) No person shall sell, or offer for sale, barter, or give away baby chicks, rabbits, ducklings, or other fowl as pets or novelties, whether or not dyed, colored, or otherwise artificially treated. 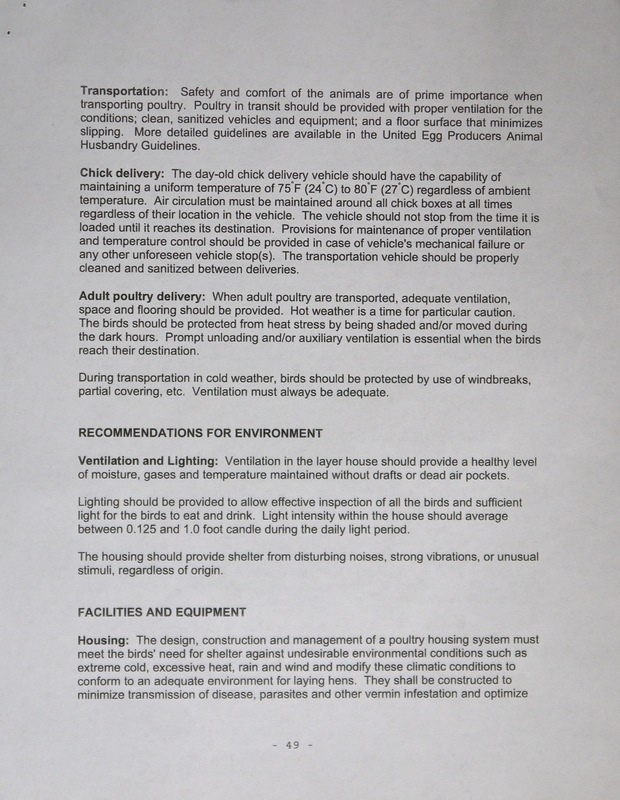 This division shall not be construed to prohibit the display or sale of natural chicks or ducklings in proper brooder facilities by hatcheries or stores engaged in the business of selling the same to be raised for commercial purposes. Now, here’s where things get surreal. Mid-April, Randy appears in court before the Honorable Judge Richard L, Hammer, Jr. of the 21st. District Court. The judge sent Randy back to meet with the city prosecutor, Timothy L. Cronin (P26417). During this meeting, Mr. Cronin said that if Randy wanted a farm then he should move out of the city. 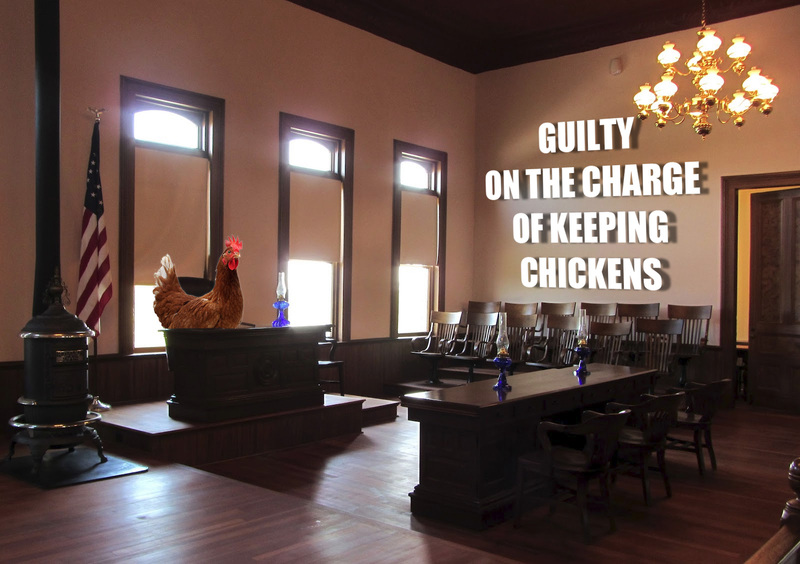 When Randy replied that he was unable to move, he said that chickens were not allowed in the city and if Randy pursued the case that he would “make an example” of him. He went on to say that the mayor did not want farm animals in the city and that he took direction from the mayor. He further indicated that Randy was not welcome in this city and he would be foolish to continue the case. At no time did he indicate that a compromise could be reached. Randy appears at city council meetings while his court dates are repeatedly postponed, speaking in favor of allowing backyard chickens in Garden City. 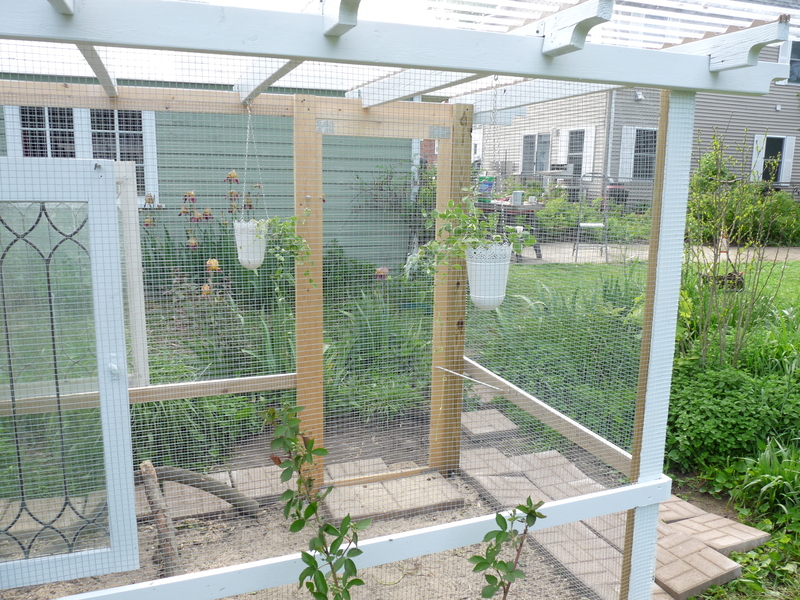 After one meeting, reporter Sue Buck runs a story in the June 24 2012 issue of the Garden City Observer on Randy and 2 others who spoke positively about keeping backyard chickens. 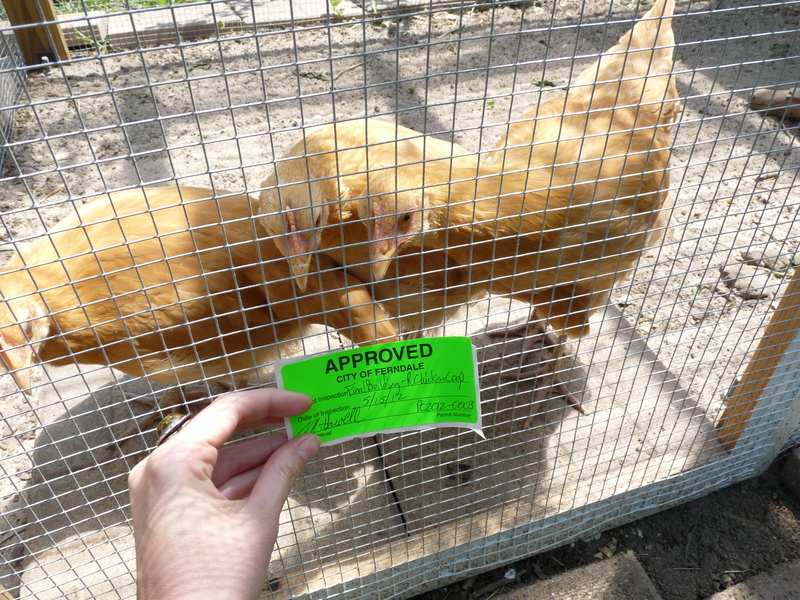 The other 2 individuals cited in the paper received chicken keeping code violation notices in the mail immediately after. 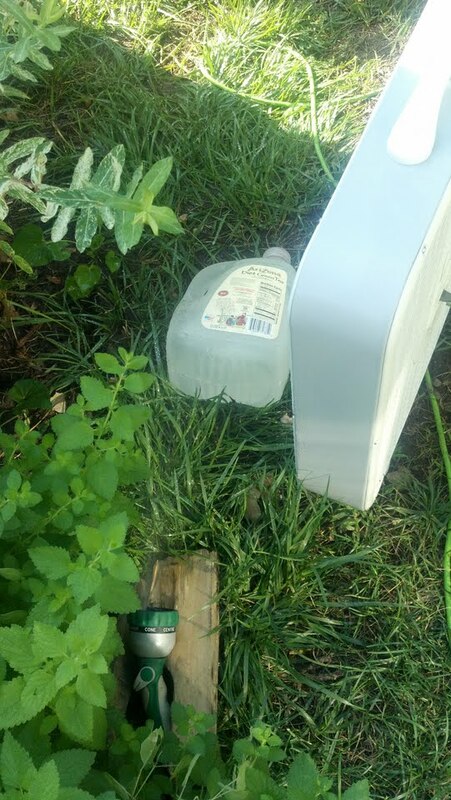 Randy’s complaining neighbor vandalizes his property and calls the city to lodge a complaint about it being in disarray. 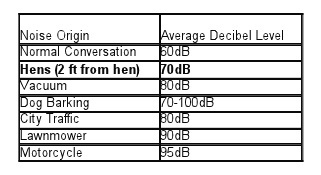 An anonymous call is made complaining about a rooster crowing. Randy has no rooster. Randy’s complaining neighbor drives to Westland to visit his 80 year old mother, demanding that she force her son to do what they ask (remove chickens, cut down tree, etc). The woman is fearful and traumatized. By the end of July 2012, the police have been out to Randy’s house a half a dozen times. Each time was a response to an anonymous complaint called in. No charges were leveled. In August 2012, police respond to a complaint about a skunk found in the complaining neighbors yard. Three police officers in two cars responded to the call. 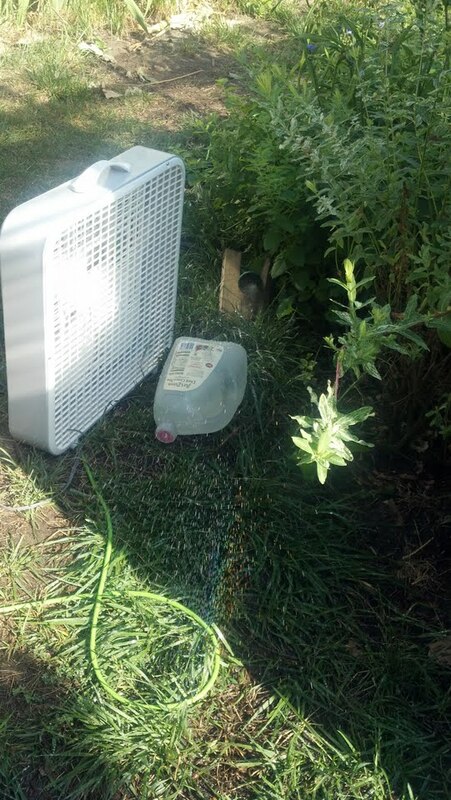 They insisted that Randy do something about the skunk in the neighbor’s yard. The neighbor had mentioned that the skunk had come from Randy and that he had sent it to spray them. 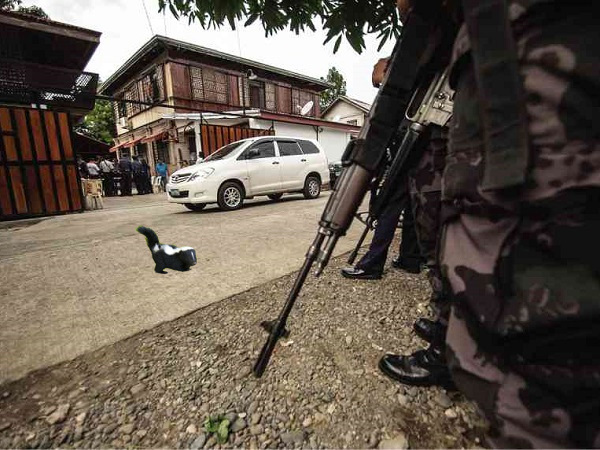 The armed police officers force Randy from his house to go retrieve a wild skunk- which turned out to be a baby skunk with barely open eyes. Randy retrieves the skunk from under the neighbors car, receives a ticket for having an unlicensed animal, and is left with the task of getting the baby skunk to a wildlife rehabilitator. Skunk cops are on patrol! In fall 2012 Randy finally gets closer to a court date, is allowed a court appointed attorney. 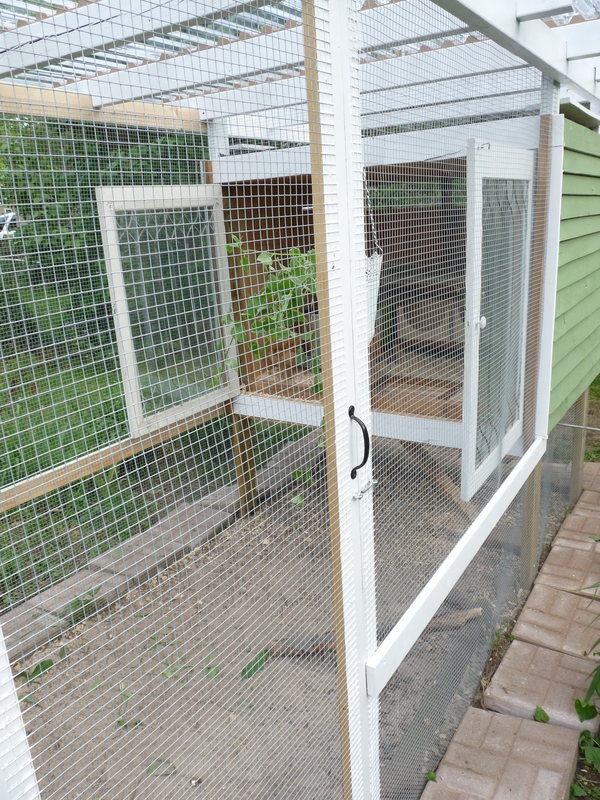 Initially, the court told the defending attorney that the case was about the skunk but in reality, the case was about keeping chickens and the Michigan Right to Farm Act. Randy’s appointed attorney, James M. Jernigan (P-57035) took the case even though he was somewhat skeptical at first. Randy explained the RTFA and how it applied to his case. Randy explained the GAAMPs, the history of the law and cited other cases that had been tried and eventually reached the Michigan Court of Appeals. 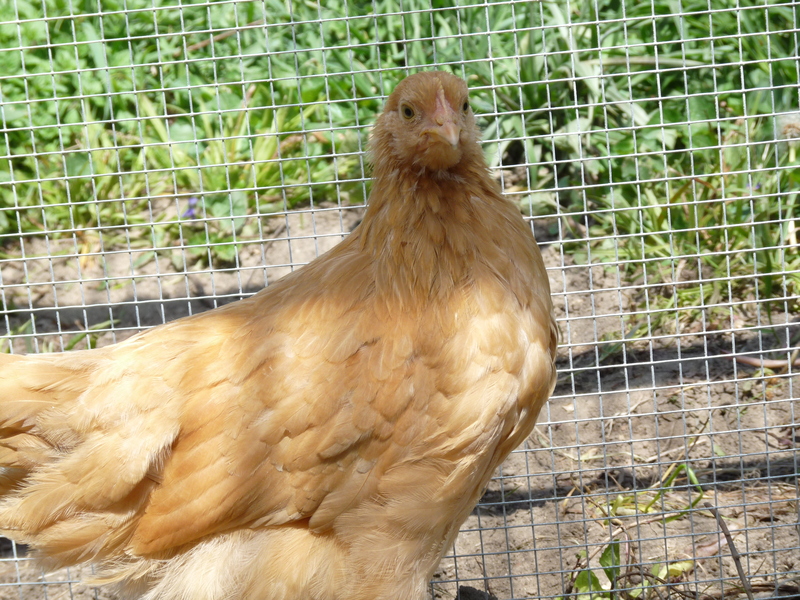 Randy’s case is repeatedly delayed due in part to another chicken keeper case being tried in the 21st District Court. That case was actually moved to the city of Wayne and presided by city of Wayne Judge Laura R. Mack, because Judge Hammer was recused. That case is City of Garden City v. Pete Santeiu (Case No, 12 GC 1547 OM). That case was dismissed by Judge Mack. 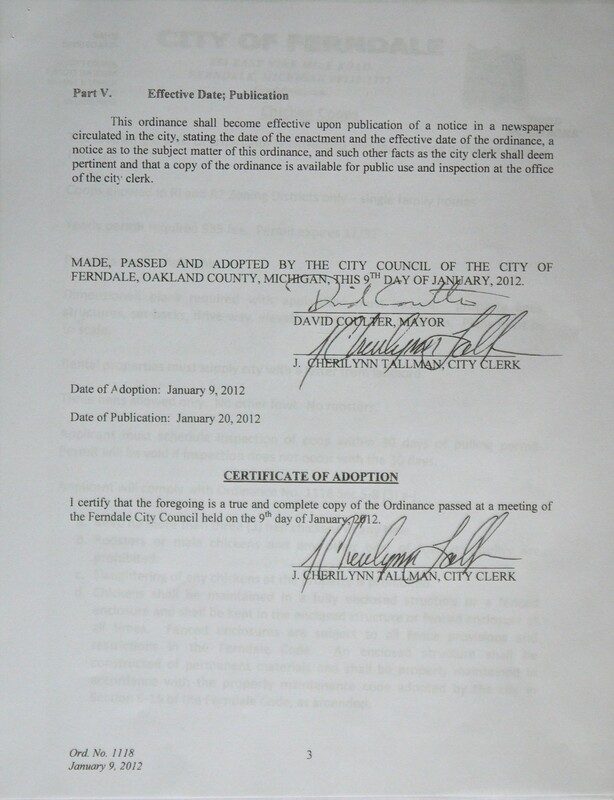 Signed and dated: January 7, 2013. In February 2013, the Garden City prosecution amended Randy’s case to be a criminal complaint rather than the original animal ordinance violation. Randy’s jury trial is set for April 11 & 12th 2013. Several points of law were disallowed based on the fact that this was a criminal charge and not merely a zoning violation. Case law, Court of Appeals decisions and opinions were discounted. The ruling of Judge Mack (representing the same court, and for the same sort of case) was disallowed. 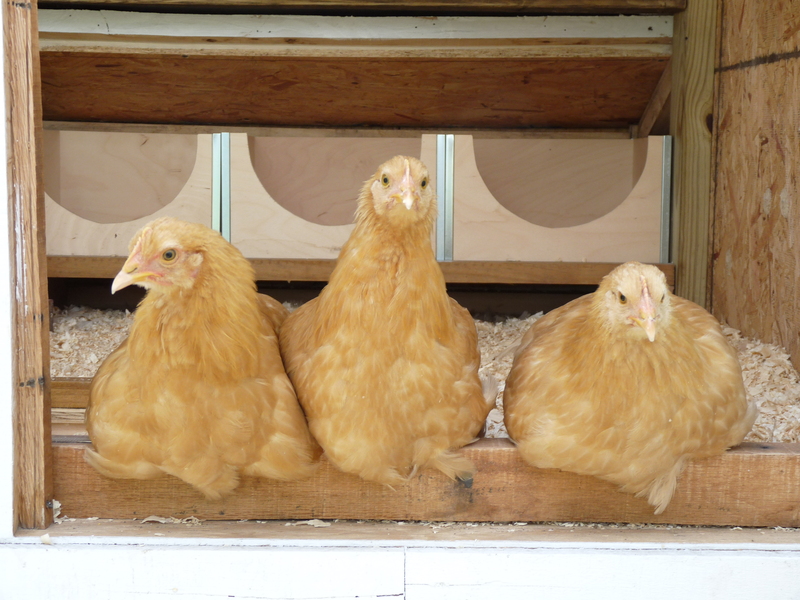 Several individuals came to testify for Randy’s defense, stating he was a good neighbor and that the chickens were not a nuisance in any way. Prosecution presented documents (not entered into evidence) that challenged Randy’s claim of GAAMP compliance. In a nutshell, it was argued that by Randy exceeding the GAAMP protocols, he was not “following” the GAAMPs. Thus if he wasn’t following GAAMPs then he was not compliant and not protected by MRTFA. This case is disturbing on so many levels. If you’d like to read about it in Randy’s own words, click here. I urge you all to share this far and wide- it’s gotten NO media attention here in Michigan, and likely won’t without a grassroots effort. Also, if you’d like to share your thoughts on this situation, please direct them to the Garden City mayor and councilmembers, as well as the senatorial representatives. Follow us on Facebook for updates on Randy’s story as it continues to unfold. Randy was interviewed on Fox 2 Detroit. 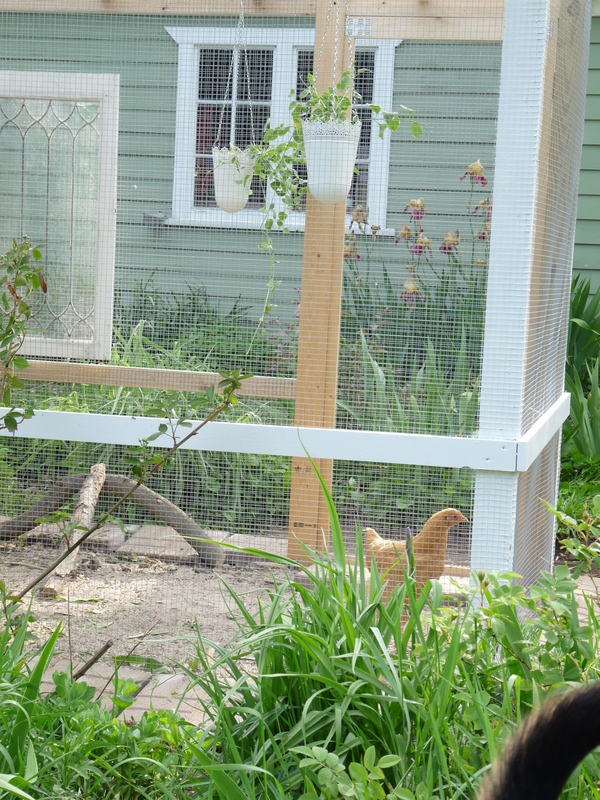 His neighbor chimed in as well, and showed just the sort of behavior you’d never want to see from a neighbor, even if you didn’t have chickens. 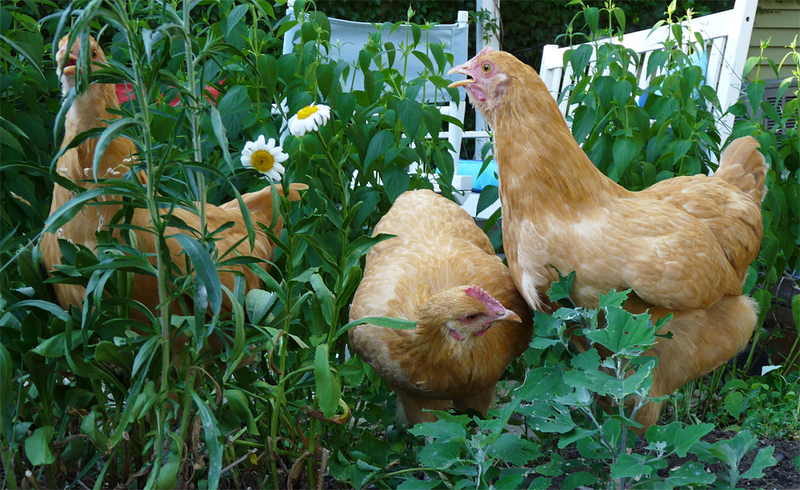 The fear of odor problems caused by backyard chickens is unwarranted. 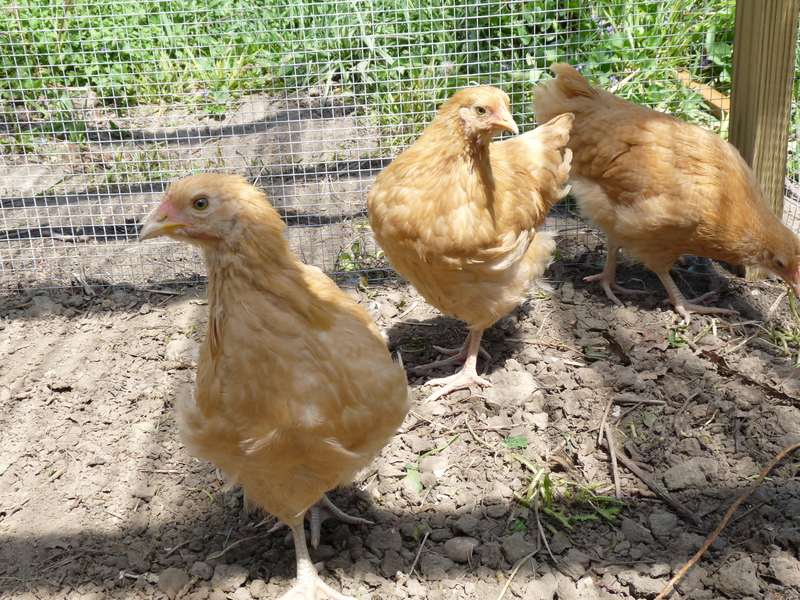 Chickens themselves do not smell- only their feces that have the potential to stink, which is also true of feces from dogs, cats, or any other animal that leaves waste in the yard. 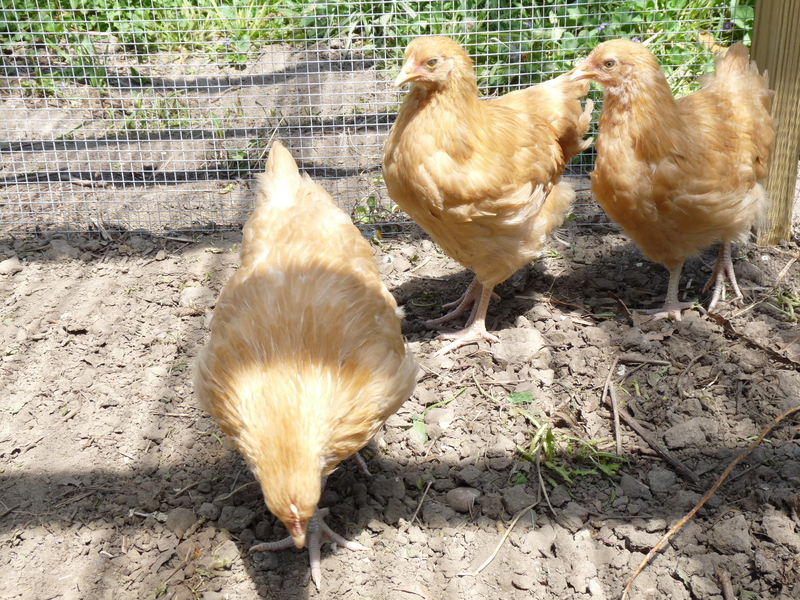 But unlike dogs and cats, who leave waste on the lawns of their neighbors or in public places, chicken waste in an urban setting is confined to the coop & run, due to ordinances disallowing them to free range. 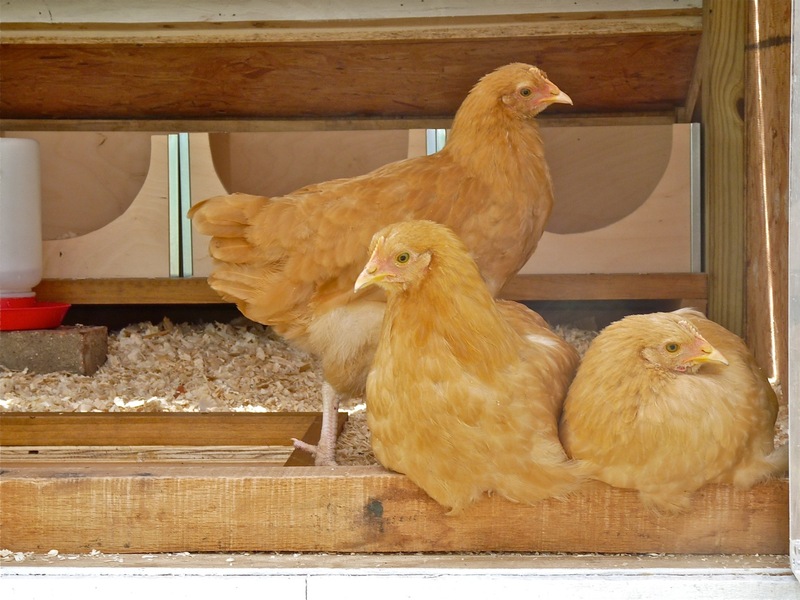 The reason people fear an odor problem is because their only experience with chickens (if they have any at all), is a farm or commercial poultry operation. 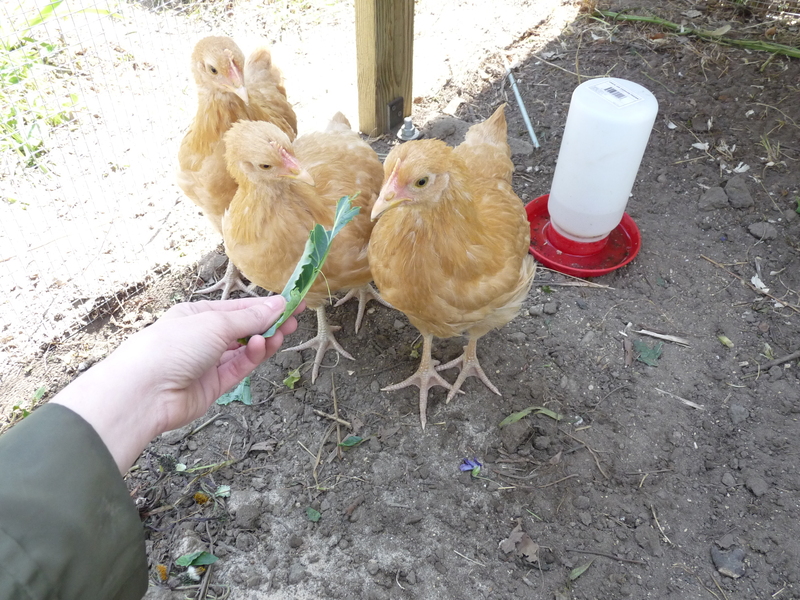 In these situations, chickens are viewed as a commodity and are raised with the intention of profit from meat or egg production. 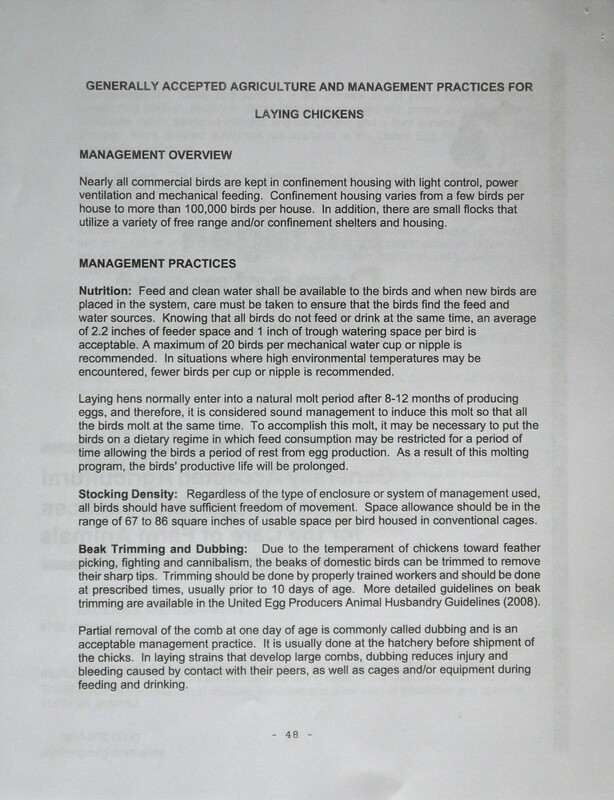 Under those circumstances, hundreds, if not thousands, of chickens are often kept in crowded conditions with poor ventilation or regular cleaning. As a result, ammonia can build up and these facilities can stink. 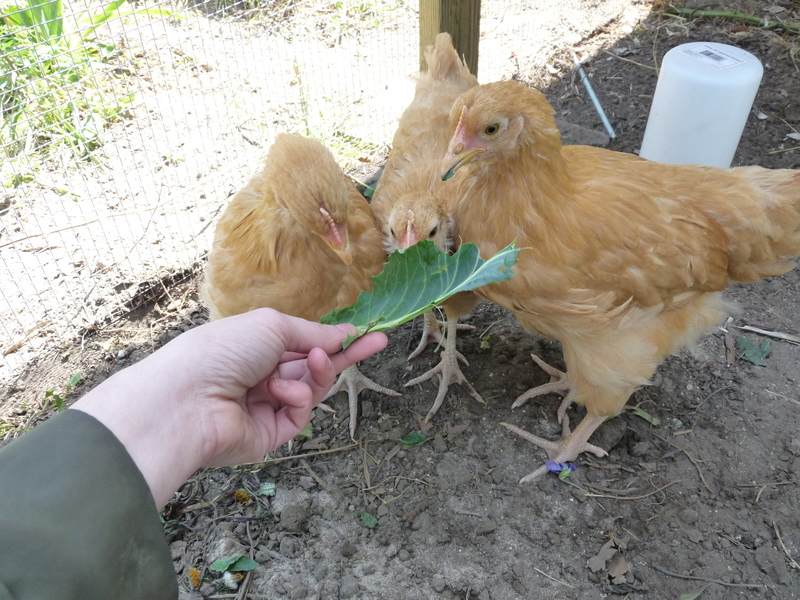 In contrast, people who want to raise hens as pets in the city are not looking to make a profit: they want eggs laid by healthy, happy chickens that they treat like pets. 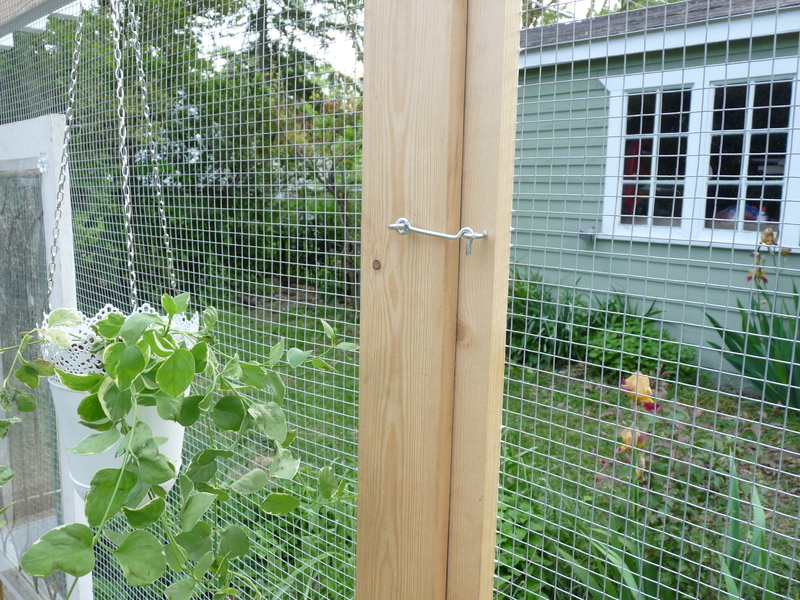 A few small birds housed at least 10’ from adjacent dwellings and in close proximity to the owner’s home, are extremely unlikely to create an odor problem for neighbors. Composting chicken manure is a wonderful bonus to keeping chickens- the high nitrogen content of their manure breaks down high carbon items quickly and efficiently (sometimes almost too quickly, see blog: http://backyardfeast.wordpress.com/2011/05/09/composting-chicken-manure-watch-the-heat/) Adding the manure to compost eliminates any smell associated with the manure. 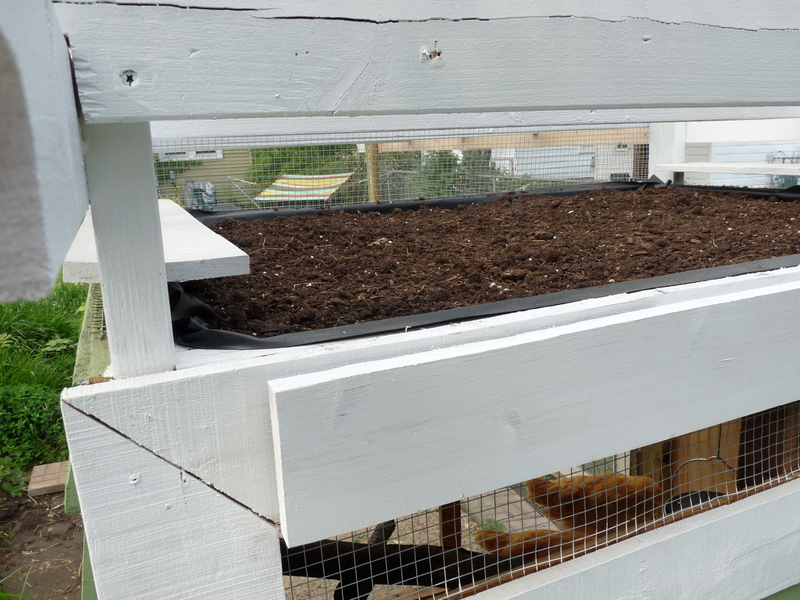 Additionally, there are steps urban chicken keepers can take to reduce the chances of odors even further: use a deep litter method of bedding, or use sand. 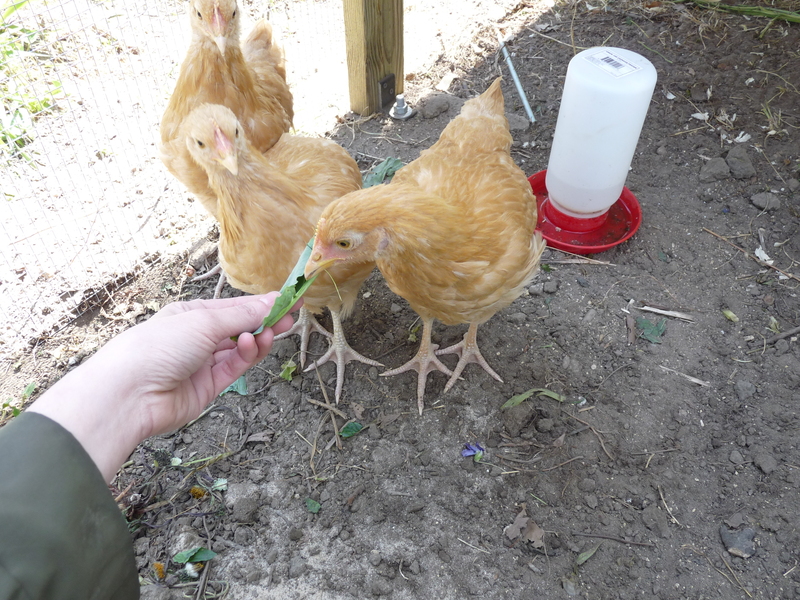 I prefer the sand method in my run, where the chickens spend most of their day- it wicks moisture away, eliminating odor and the attraction of flies, drying out the manure in the same way cat litter does. 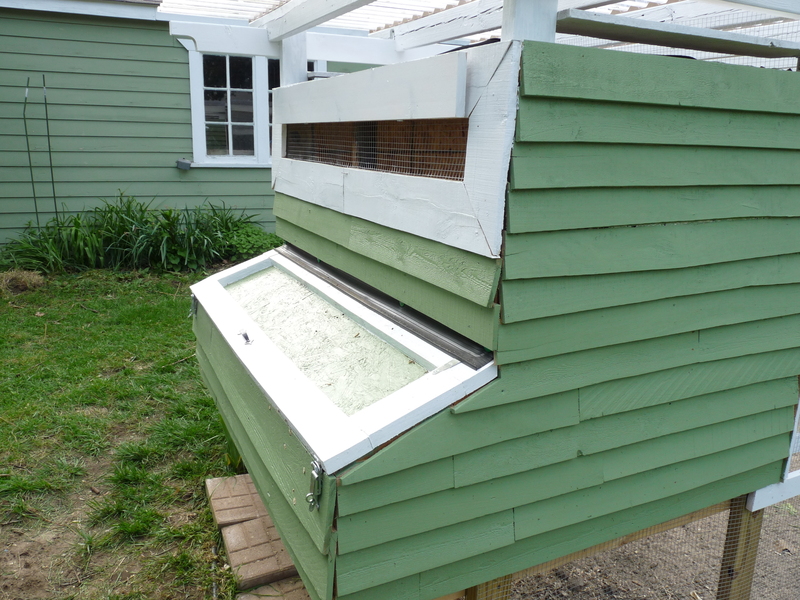 I clean the run and coop once per day, throwing the waste into my composter; the only thing you can smell in my chicken run is their pine bedding and the flowers in the surrounding garden. 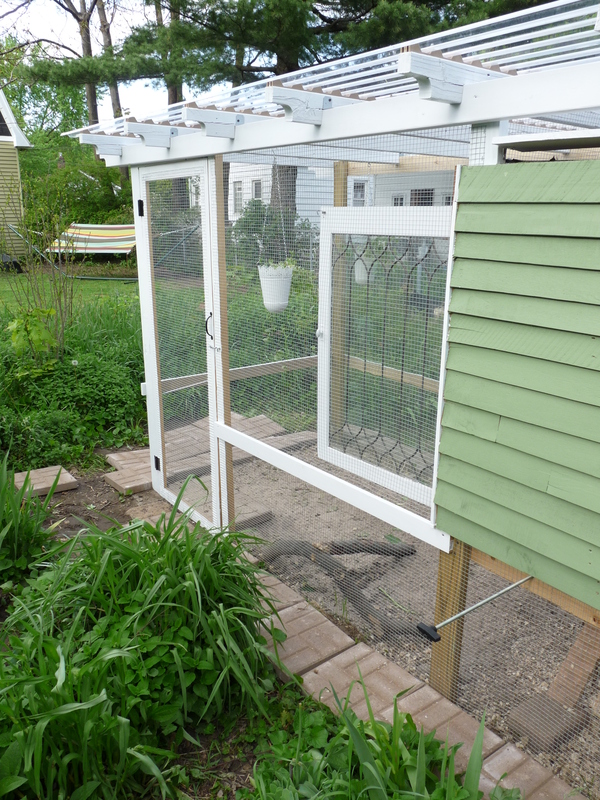 With proper practices, no small scale chicken coop should EVER smell strongly enough that neighbors would notice. 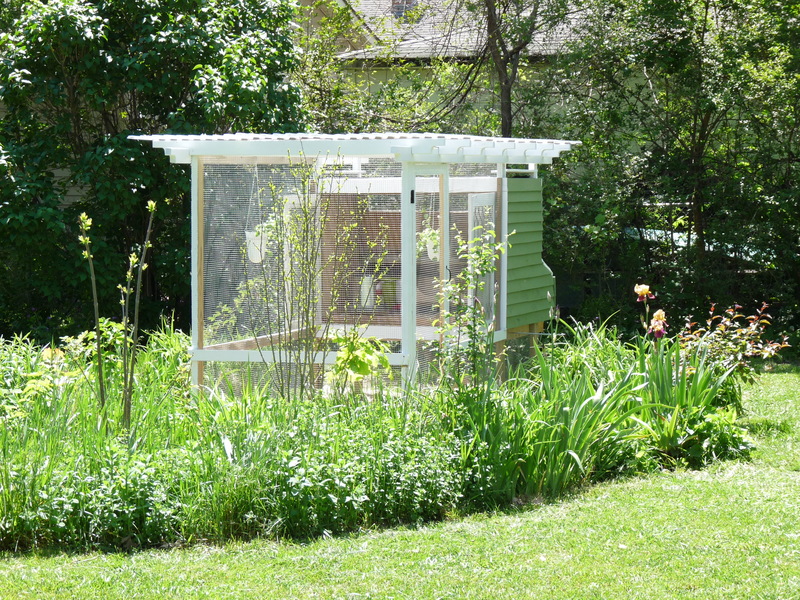 The building permit needs to be filled out, much like you would if you were building a shed. 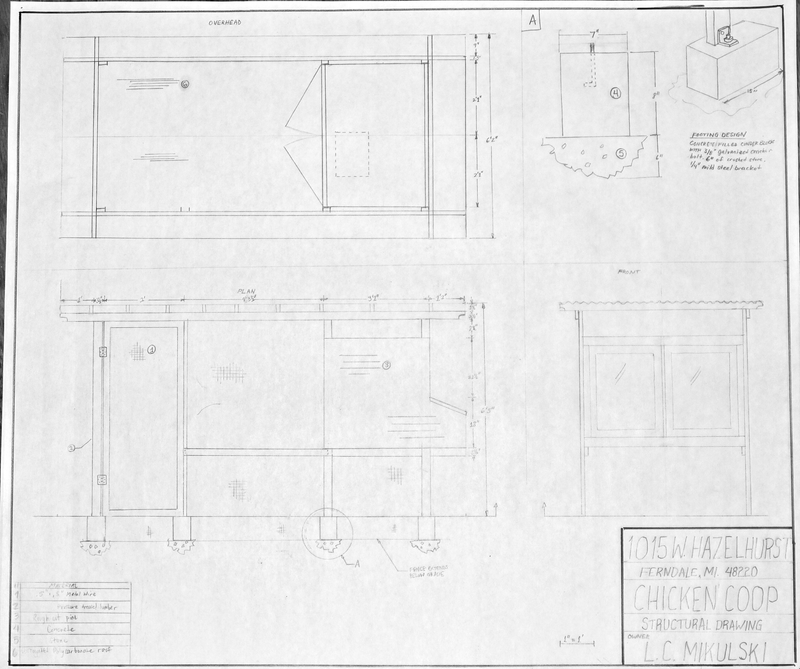 In addition to filling out the building permit and chicken coop application, they require a basic site plan indicating that the location of the coop meets the dimensional requirements and a plan for the coop’s construction demonstrating that the material requirements are being met. The fee for the permit is $35 annually, and is paid when you submit your application to the city. 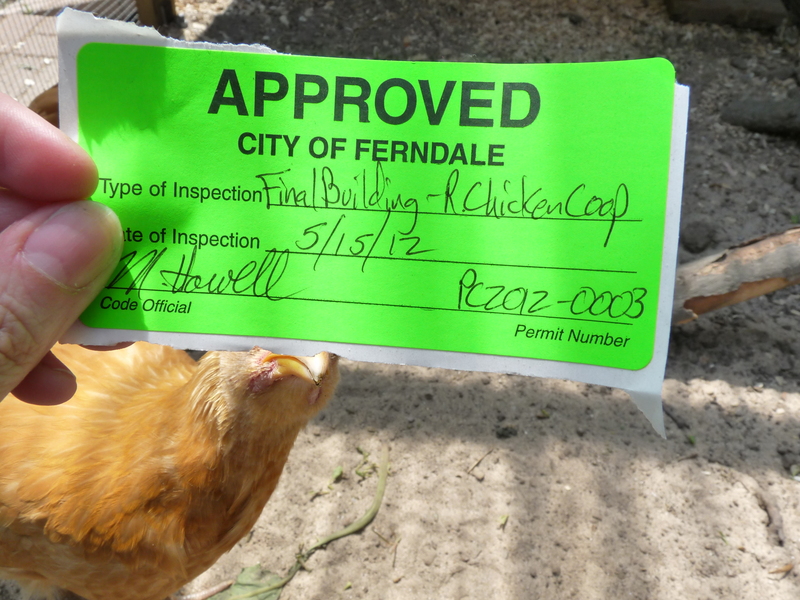 You can schedule your coop inspection at the same time. 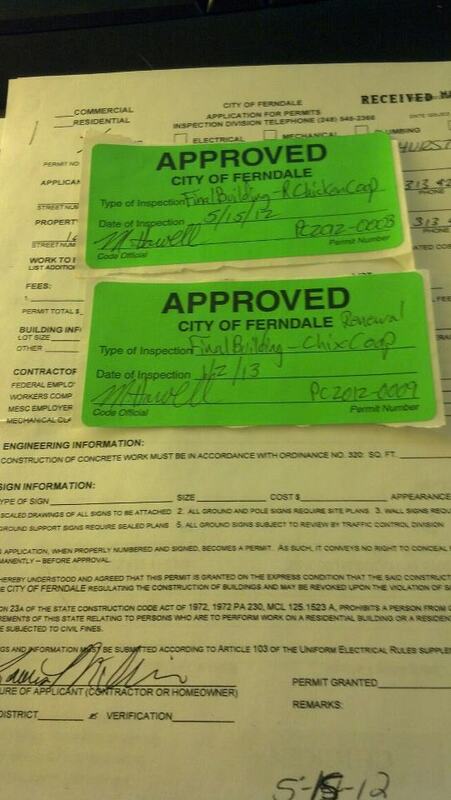 The permit and application are available at City Hall, which is also where you turn in the completed paperwork. 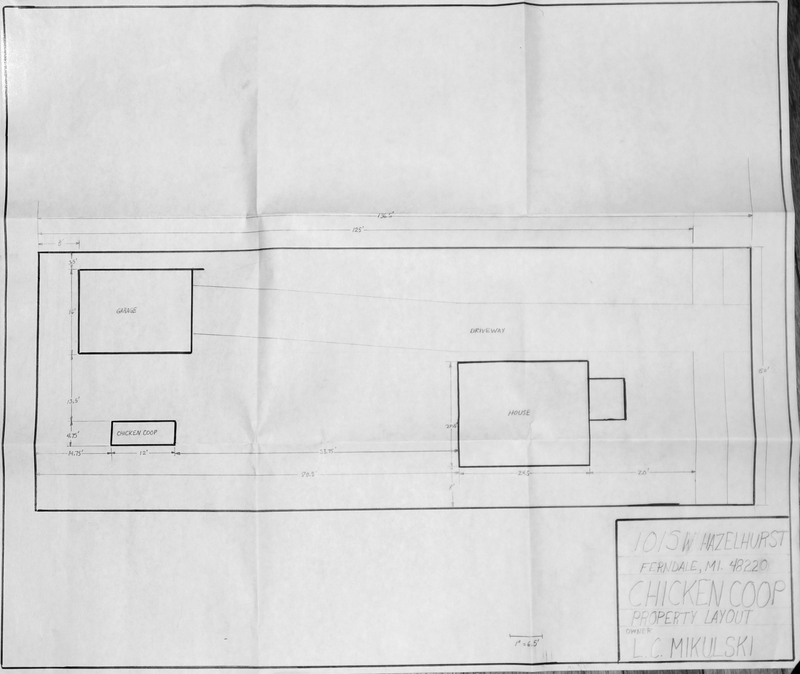 Putting together my site plan tonight, and should be able to turn in the completed paperwork tomorrow. Can’t wait to have everything done and legal!